Whether upgrading an old, adding to an existing one, or installing a brand new video surveillance system, Urban Security Group’s business grade level HD IP network security cameras are a tried, tested and proven top choice for retail consumers and professional CCTV installers alike! 4x New Generation WHITE Light LEDs For Up To 25-35 Feet Of Nighttime Protection = Add External White Light or Infrared LEDs If Your Application Requires More Lighting! 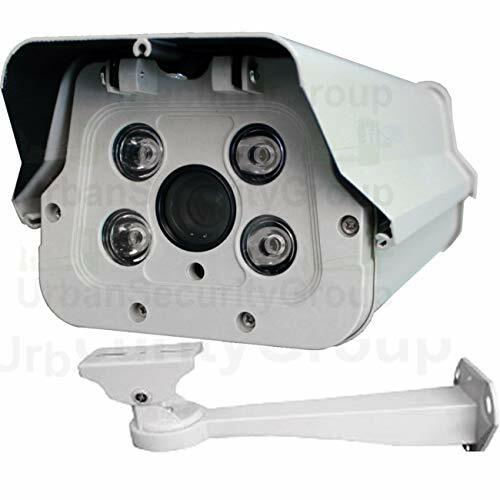 Amazon Search “Urban Security Group” For More Of Our Professional Grade CCTV Products! Contact Us With Questions, To Customize System or For Free Expedited Fulfillment! THIS IS A SPECIALTY SECURITY CAMERA FOR LICENSE PLATE RECOGNITION & CAPTURE APPLICATIONS! –> BUY ONLY IF THIS IS YOUR NEED! PREMIUM UPGRADE: High-Performance 1/2.8″ SONY Exmor IMX327 CMOS Chipset For Exceptional Video Quality And Crystal Clear Clarity! 5-50mm PREMIUM HD Manual Vari-Focal Lens ** Field of View: From 50° @ 5mm to 5.5° @ 50mm ***** Weatherproof & Vandal-proof Outdoor Housing With An Easy To Install Wall Mount Bracket INCLUDED! 4x New Generation WHITE LIGHT LEDs Array For Up To 25-35 Feet Of Nighttime Protection!